COCOA, Florida -- According to police, the Cocoa Police Department received a call that 48-year-old Johnny Lee Kimbrough was seen at 1080 N. Fiske Boulevard early this morning. Police confirmed that Kimbrough does not live at that address and that there is an active warrant for his arrest. When police arrived, Kimbrough could not be located. A short time later, Police received another call and again responded to the area. Upon their arrival the second time, a citizen advised police that Kimbrough had been seen running into Unit #J5 of the apartment complex. Police knocked on the door of the residence and were let inside by the resident. As they entered, police witnessed Kimbrough going out the back window of the second floor apartment. Police attempted to stop Kimbrough but he was through the window before they could reach him. Fire rescue crews responded and Kimbrough was transported to the hospital for treatment of his wounds which were self-inflicted according to police. At this time, the extent of his injuries are unknown. However, Kimbrough was conscious on scene and was moving his feet and legs. Kimbrough will be transported to the Brevard County Jail once he is released from the hospital where he will be held on a "no bond" status. 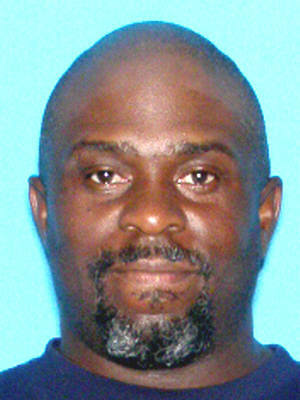 Kimbrough has been designated a Florida Career Offender.